Aston Martin has revealed details of its first all-electric production car – the Rapide E.
The Rapide E will be powered by an 800V battery electrical architecture with 65kWh installed capacity using over 5600 lithium ion 18650 format cylindrical cells. These are mounted in a bespoke battery pack where the original 6.0-litre V12, its gearbox and fuel tank were located. This battery system powers two rear mounted electric motors producing a combined target output of just over 610PS (600hp) and 950Nm of torque. Rapide E’s range target is over 200 miles (321 km) under the Worldwide Harmonised Light Vehicle Test Procedure (WLTP), while the model is capable of charging at a rate of 185 miles of range per hour using a typical 400V 50kW charger. However, the car’s 800V high-voltage battery system enables faster charging of 310 miles of range per hour, using an 800V outlet delivering 100kW or higher. Projected top speed for the Rapide E is 155mph, with a sub-4 second 0-60mph time and a 50-70mph time of just 1.5sec. 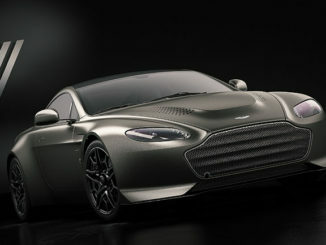 Aston Martin says these figures are not restricted to a narrow window only when the batteries are fully-charged. Instead the target is for maximum performance on-demand throughout the majority of the battery state of charge window. The car’s exterior and underbody has also been aerodynamically optimised and complemented with newly-designed aerodynamic wheels. Shod with Pirelli P Zero, Rapide E’s bespoke tyres aim to deliver a lower rolling-resistance and reduced cavity noise, while still delivering superior dynamic capability. Rapide E aims to achieve higher levels of aerodynamic, frictional loss and cooling performance over the standard Rapide S.
The company says it has been an objective of the project to retain and enhance the feel, character and delivery of the V12-engined Rapide S. To this end, careful attention will be paid to the development and tuning of both the electric powertrain and the chassis, with particular focus applied to software integration. The rear-wheel drive Rapide E’s twin electric motors will drive through a Limited-Slip Differential combined with revised spring and damper rates. 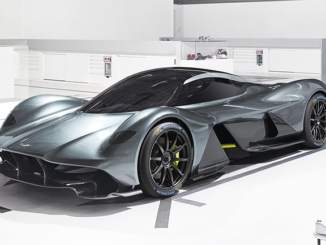 Aston Martin has worked closely with Williams Advanced Engineering (WAE) as its development partner. In addition to WAE, the Rapide E program includes technical partners including Hyperbat Limited – a new joint venture company between Williams Advanced Engineering and Unipart Manufacturing Group – as the battery manufacturer, Integral Powertrain for the electric motors, Xtrac for the transmission and the H1PERBAT project consortium with grant funding from the Advanced Propulsion Centre. 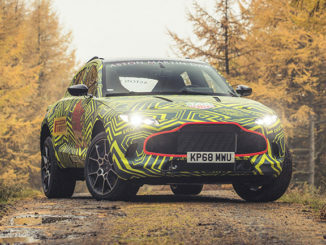 “Environmental responsibility and sustainability is a global challenge faced by us all,” said Andy Palmer, Aston Martin CEO. “As a career automotive engineer, I’m proud that the car industry is leading the way in finding long-term solutions and reducing harmful emissions. As Aston Martin’s CEO, I take particular satisfaction working with Williams Advanced Engineering and our other associated technology partners to bring Rapide E to reality. As our first all-electric production model, Rapide E will fast-track our knowledge and help us ensure the character and high-performance capabilities of our future EV models and enhance the unique qualities found in all Aston Martins as we know them today. Rapide E will also serve as a critical step on our path to re-launching Lagonda as the world’s first zero-emission luxury marque”.